The Dept of Life Sciences, Christ University organized an International Conference on Women in Science Research and Innovation in association with the Consulate General of Israel to South India on June 20 and 21, 2017 in the K E Auditorium, Block IV, Main Campus, Christ University. We started off with an inaugural session with the Consul General of Israel, Ms Yael Hashavit as the Chief Guest. Dr Suma S, Coordinator of the Conference gave the welcome address and the Vice Chancellor, Fr Dr Thomas C Mathew gave the Presidential address. Ms Yael Hashavit gave the inaugural address. Israel is a country which is technologically very much advanced. She spoke on the ongoing partnerships between India and Israel and was very much positive on initiating collaborations between researchers from both the countries in the domain of Science. Then we had Dr Reeta Mani from the department of Neurovirology, NIMHANS who took us through a journey of the dreaded disease Rabies and explained how smart the Rabies virus is and how difficult it is to combat it. The next technical session was engaged by Dr Meenakshi D’Souza from the International Institute of Information technology, Bangalore. She spoke on the history of mathematics and computers and the significant milestones in the field. Day II started off with the session by Dr Sudheshna Adak, CEO of Omix R and D Pvt Ltd. Dr Adak spoke on the dismal scenario of the growing antibiotic resistance which if left unattended is going to be a serious menace in the coming years. The second session was by Dr Dipshika Chakravortty who spoke on an interesting topic - How pathogens outsmart us. The talk was extremely interesting and the ensuing discussion was very informative. The last technical session was by Dr Prerna Sharma of the Dept of Physics, IISc who spoke on the Curvature Instabilities in Colloidal membranes. For the valedictory session, we had Dr Sudha Narayana Murthy, Chairperson of Infosys Foundation, as the Chief Guest who stressed the need for equal participation of men and women in all walks of life including the domain of Science. Dr Anil Pinto, Registrar of Christ University also voiced the same opinion. Overall, the Conference proved to be an enlightening one for all the participants. 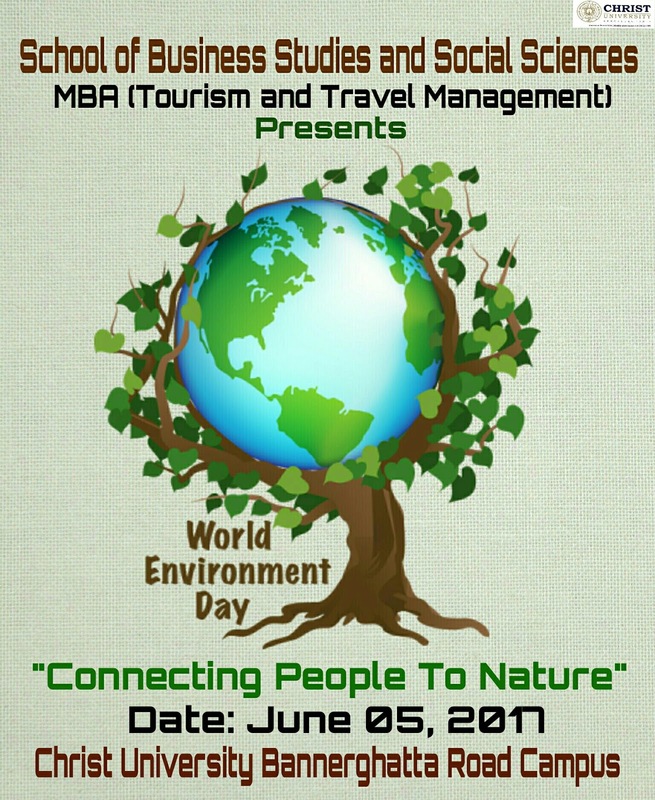 The Students of MBA (Tourism and Travel Management) and BBA (Tourism and Travel Management) of School of Business Studies and Social Sciences, Christ University celebrated World Environment Week in the Bannerghatta Road Campus from June 05 to 10, 2017. World Environment Day is observed around the world on June 05 every year. 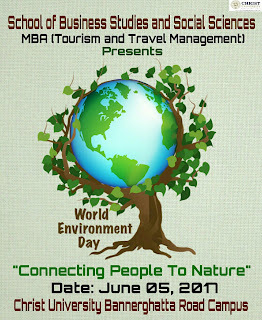 United Nations uses this day for encouraging worldwide awareness and action for the protection of the Natural Environment. First celebrated around the world in 1973, the Day has grown to become a global platform for public outreach, with participation from over 143 countries annually. Each year, World Environment Daycomes up with a new theme that major corporations, NGOs, communities, governments and celebrities worldwide adopt to advocate environmental causes. 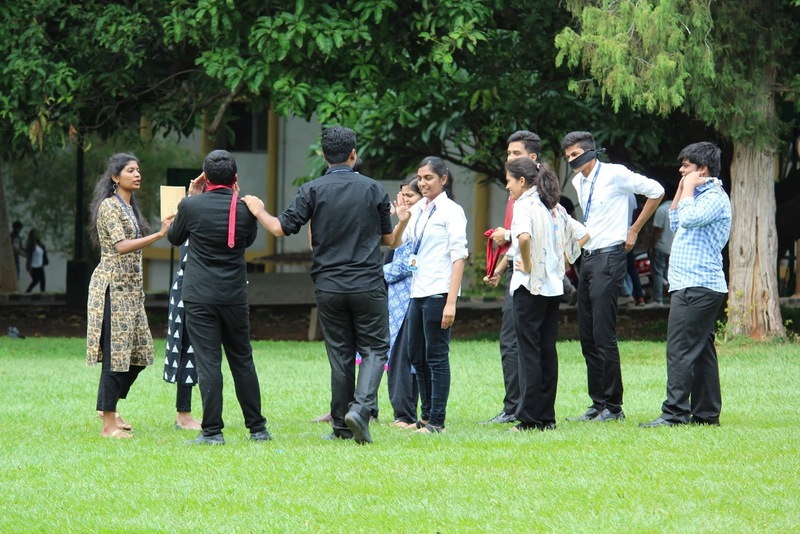 The Celebrations in the Campus on the theme, “Connecting People to Nature” implored the students and the staff to venture outdoors and engage in activities that would help appreciate the beauty and importance of Nature. The Campus was decorated with posters on the need to save the environment and competitions were organized on decorating the Class Notice Boards on the theme. 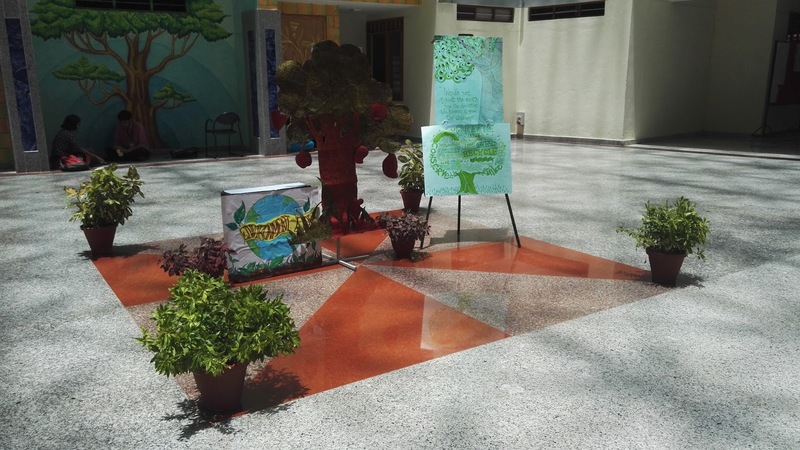 The activities organized everyday such as quiz competitions and music, as a part of raising awareness implored everyone to take forward the call to protect Mother Earth through fun and exciting ways. 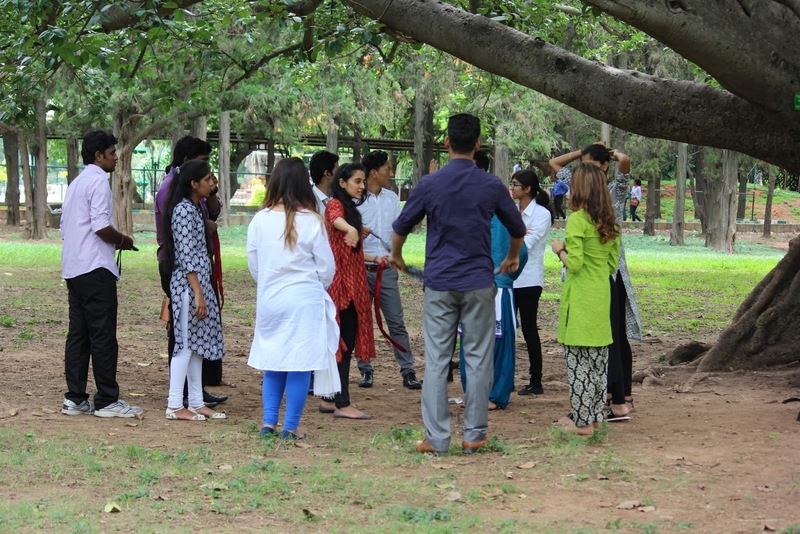 The Students of BBA [Tourism and Travel Management] of School of Business Studies and Social Sciences, Christ University, Bannerghatta Road Campus organized a visit to Lal Bagh Botanical Garden on June 22, 2017 as a part of Konkurrenz, the Association Activities of the Discipline of Tourism Studies. The main objectives behind organizing the Visit were to enhance Team Spirit among all three years of BBA T, introduce the First Year Students to the various Activities and Events in the Association and to offer them the first taste of acclimatization with the Garden City. The Students arrived at Lal Bagh at 02:00 PM, from when various Team Building Activities were organized for them by the Third Year Students. 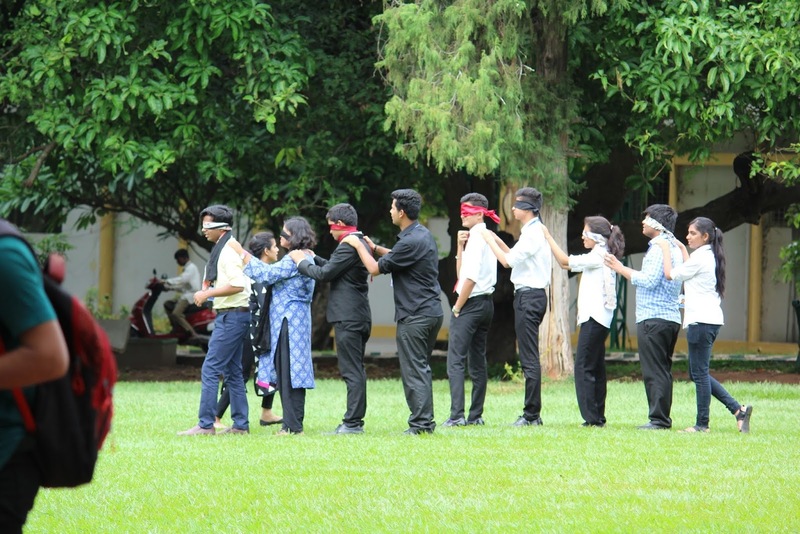 Some of the fun-filled Activities the Students enjoyed being a part of were Blind Caterpillar, Dog and the Bone, Tag Yourself and a Treasure Hunt that spread them out across the Park. The Event came to a close at 04:00 PM with the Students feeling more at home in the company of each other and looking forward to working together in more number of Activities and Events in the University.